Time to show your love for the Sanitation Men and Women working hard every day. 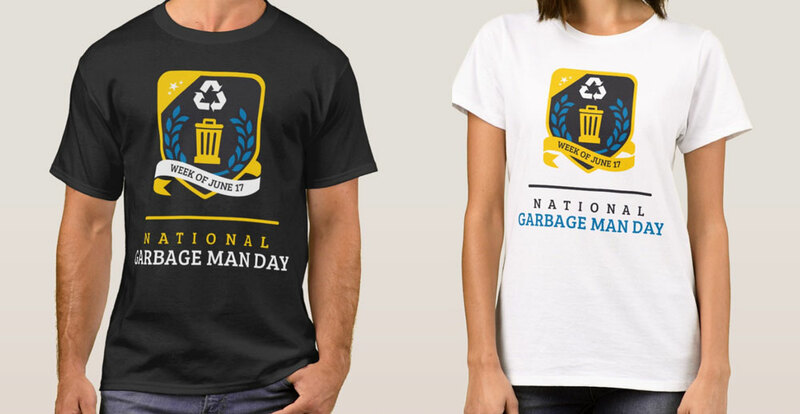 We have an entire collection of Garbage Man Day swag to show your pride! Stickers are ready to roll! They are the easiest and fastest items available. We have a limited selection of these high demand items – get your order in today. We also offer downloadable Thank You cards you can print on demand. Enter to Win FREE Shirts for your Entire Company! Sort: newest | popular Showing 1 - 18 of 18 products.